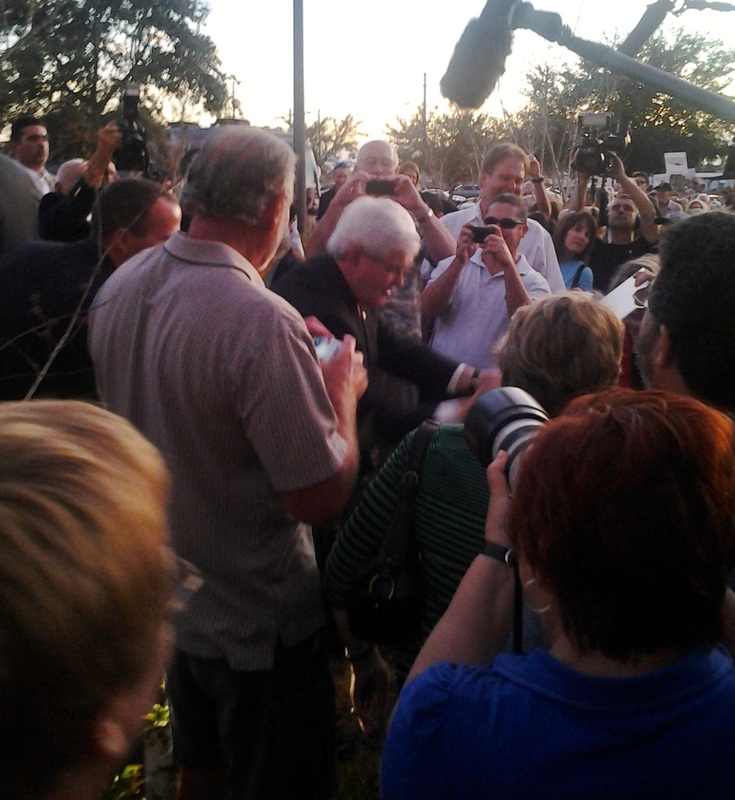 COCOA, Fla. -- Republican Presidential Primary candidate Newt Gingrich's visited the Space Coast today and held a town hall at the Holiday Inn Express in Cocoa. Gingrich said during his speech, "By the end of my second term ... We will have the first permanent base on the moon, and it will be American." which drew cheers from the 700+ Brevard County residents packed into the Convention Center. Gingrich called for a smarter, more common sense approach to the space program. He spoke of having more launch vehicles designed for interchangeable applications between both military and civilian use such as the Atlas V rocket. Gingrich also recommended that the U.S. government use prize money in the amount of $10 billion for space competitions to lure inventors to take on the task of designing new technologies to meet the needs of the U.S. Space Program. He mentioned that a $25,000 prize motivated Charles Lindbergh to perform the first solo transatlantic flight in 1927. Gingrich envisions that Kennedy Space Center ultimately become more like an airport, with five to eight launches a day instead of one. At the end of his speech, the former Speaker of the House was surrounded by the media, security, and autograph seekers. Because the Convention Center was at maximum capacity for fire safety, about 100 Brevard residents waited outside to catch a glimpse of Gingrich as he made his way from the Convention Center to his campaign bus. He then departed for Brevard Community College to hold a meeting with representatives of the aerospace industry.